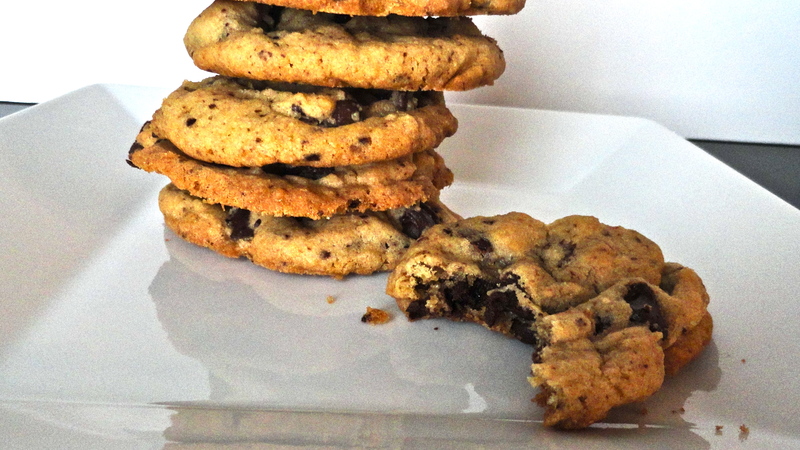 Neiman Marcus Chocolate Chip Cookies – A $250 Recipe? 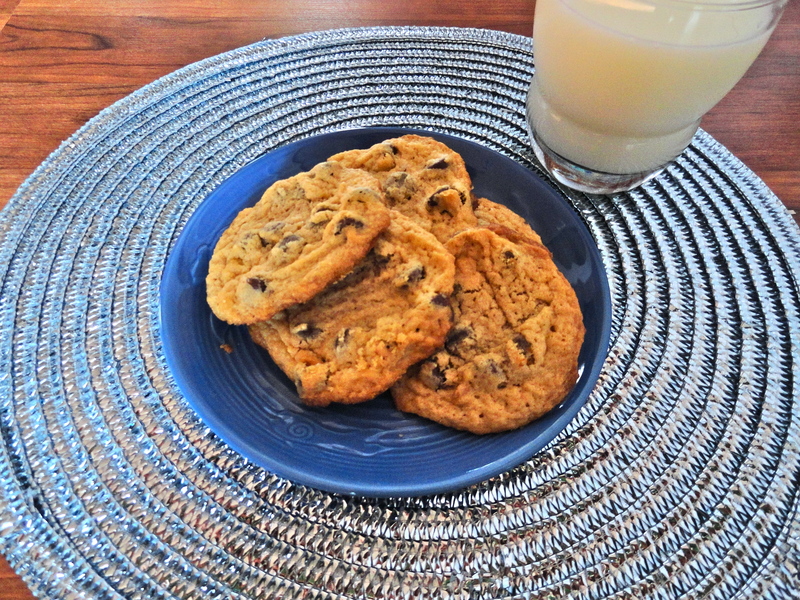 Chocolate chip cookies are usually one of those recipes that you grow up with; it was your mother’s, or grandmother’s, or great great grandmother’s. Maybe it was Toll House 😉 My point is, most people usually stick to the same chocolate chip cookie recipe for most of their lives. Growing up, I always used my mother’s, which I think may have been passed on to her. It was basically the Toll House recipe with a few small alterations. Once I got in my 20’s, I started using a recipe containing vanilla pudding. This kept the cookies ultra moist. Generally, I still use that recipe. However, I saw this recipe online about a year ago and thought the story behind it sounded interesting. Legend has it, a woman and her child were shopping at Neiman Marcus and stopped in their cafe for a little snack. They each had one of their chocolate chip cookies. The woman liked them so much, she asked the waiter for the recipe. He said he could give it to her, but he’d have to charge her “two-fifty”. She said, “that’s fine, just add it to my tab,” and he handed over the recipe. When she received her credit card bill in the mail a few weeks later, she was shocked to find that the cost of the recipe was $250, not $2.50. Since she already saw the recipe and her card was charged, she decided she’d plaster it all over the internet. Ha! I suppose it’s not like she got her money’s worth, but at least the rest of the world never had to pay $250 for their “secret recipe”. I printed this recipe at least a year ago, and of course didn’t keep any links to where I actually found it. After Googling it, I did find the exact same recipe on allrecipes.com. 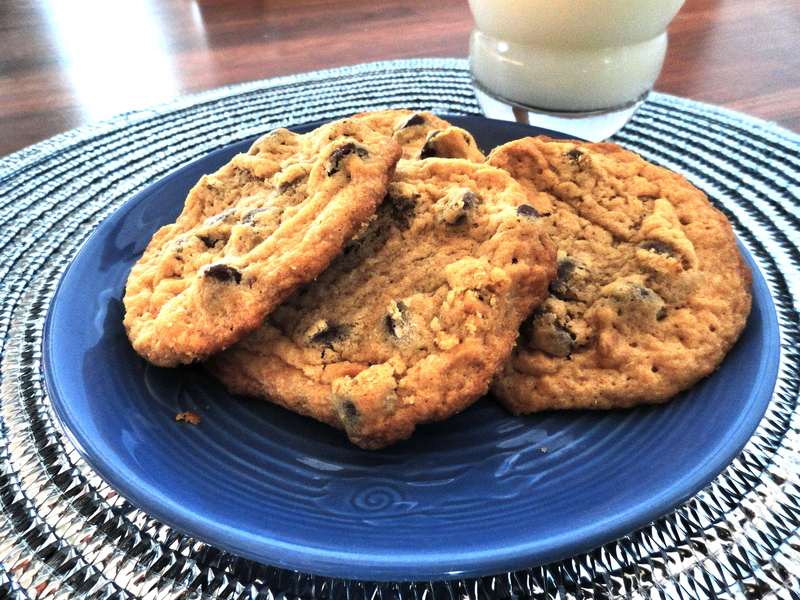 Sadly, it seems the story behind the cookies are an urban myth, and Neiman Marcus has never charged for their recipe. Furthermore, after researching it, there are a handful of recipes similar to the one I used, as well as other recipes that claim to be the $250 secret recipe, but include oatmeal and do not have the espresso powder. 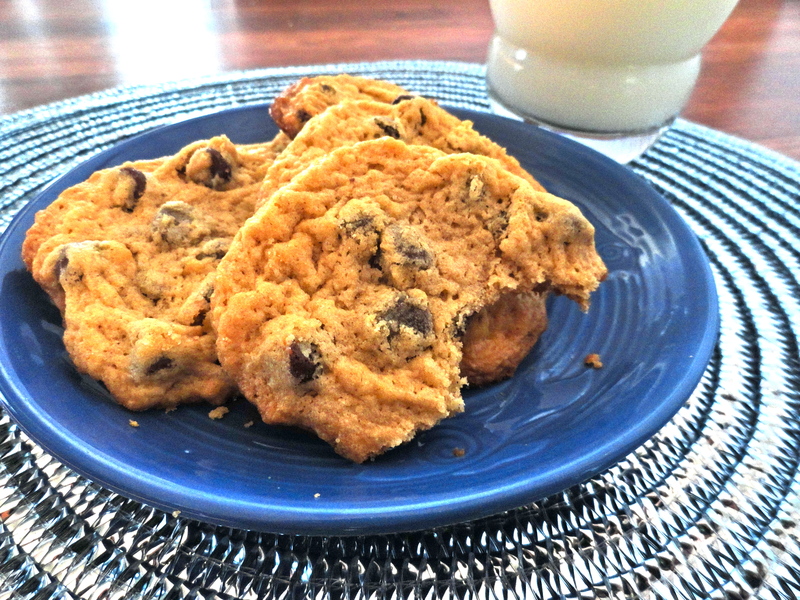 I don’t know which is the “real” recipe, but I had to try the one with espresso powder in it! They were super moist, packed with chocolate (YUM!) and the espresso powder really gave it an extra kick! 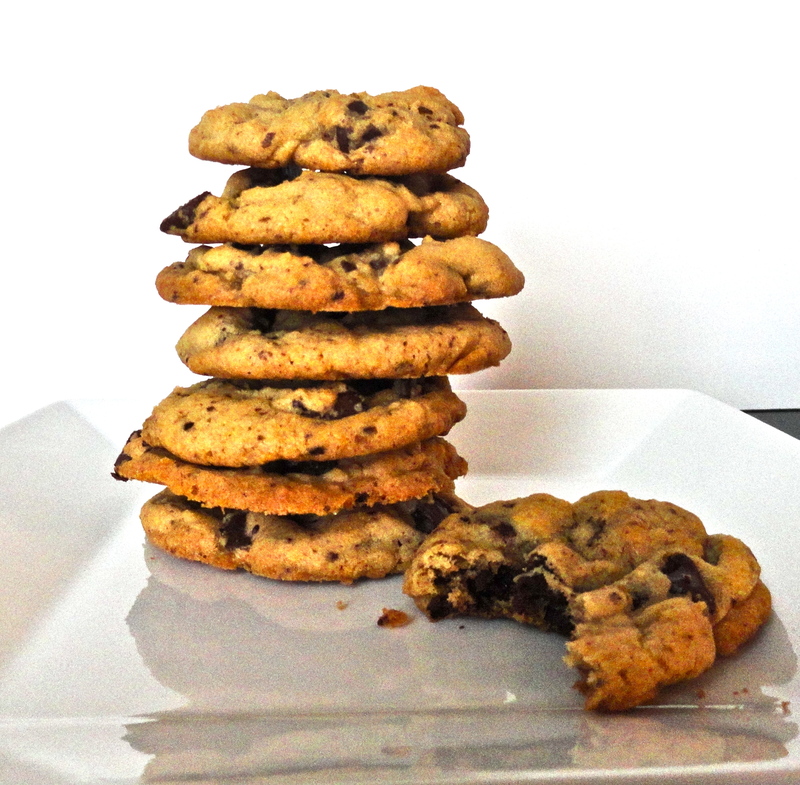 Where did you get your chocolate chip recipe from? 1. Preheat oven to 300 degrees. In the bowl of a stand mixer, cream butter and sugars at medium speed until light and fluffy. Add egg and vanilla extract and mix until well combined. 2. In a large bowl, sift together the flour, baking soda, baking powder, and salt. Slowly beat into the butter mixture at low-speed until combined. Stir in the espresso coffee powder and chocolate chips. 3. Drop 1 oz scoops of dough on greased baking sheets. Bake for 16-18 minutes, until nicely browned around the edges. I take mine out at exactly 16 minutes so they stay a little chewy in the middle.